When will be Cheerleaders SMOED next episode air date? Is Cheerleaders SMOED renewed or cancelled? Where to countdown Cheerleaders SMOED air dates? Is Cheerleaders SMOED worth watching? 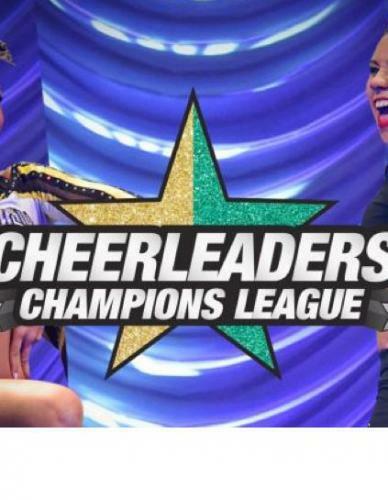 Welcome to Champions League, where the very best of the best cheerleading squads face off, fighting to the finish to determine who reigns supreme in the all-star cheer world! In this docu-series hosted by Micheleddie Rivera, two very different squads are featured, CheerForce-Blackout and World Cup-Shooting Stars. Cheerleaders SMOED next episode air date provides TVMaze for you. EpisoDate.com is your TV show guide to Countdown Cheerleaders SMOED Episode Air Dates and to stay in touch with Cheerleaders SMOED next episode Air Date and your others favorite TV Shows. Add the shows you like to a "Watchlist" and let the site take it from there.